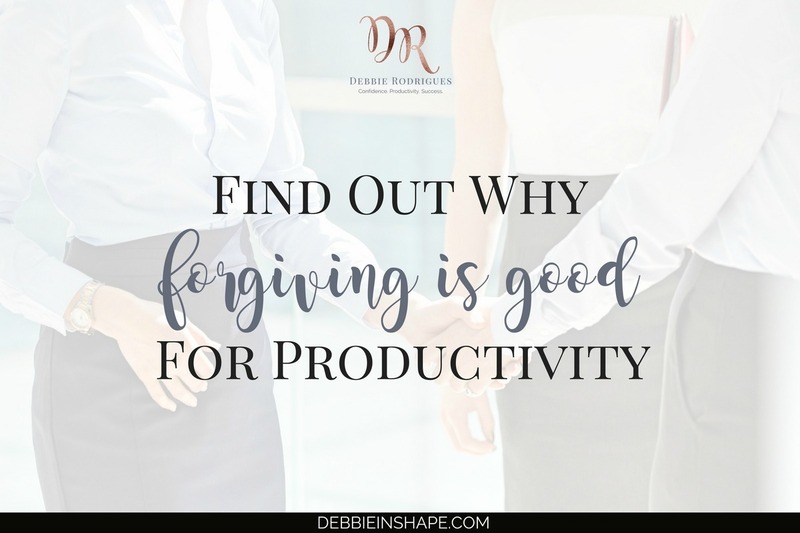 In case you didn’t know it, forgiving is good for productivity. Learn why holding a grudge is in the way of your efficiency. Forgiving is good for productivity, reduces stress, and promotes good health. And I’m not saying that out of the blue. It’s the conclusion of a recent study in which the link between forgiveness and health promotion was examined. Now you might be wondering how it’s possible. Forgiveness is almost always associated with religious beliefs. How does forgiving someone have anything to do with efficiency? The very first topic of the 52-Week Challenge For A More Productive You was stress. Even though it’s everywhere, stress isn’t something you can simply get accustomed we intend. What triggers it in you doesn’t necessarily have the same effect on me and vice-versa. Still, stress prevents us from getting more done on a regular basis. How did you feel every time you had to have a conversation with that person? Did you feel calm and mindful? Or were you angry and anxious? Were you able to go on with your day “as usual”? Or were you stuck just by imagining how things would go? The STRESS caused by that ANIMOSITY stopped you from focusing on the tasks at hand, didn’t it? Unsolved issues stay in our mind, and we ruminate them over and over again. It seems like the Universe is doing its best to remind us of what happened and how that person (or people) made us feel. We just can’t get them out of our head. Suddenly, they become the main topic of our conversations too. Instead of brainstorming ideas with your partner or a colleague, all that comes out of your mouth is bitterness and resentment. If I were to do so, it’d be at myself before anyone else. We all have been in this situation and we aren’t “bad” people because of that. Even though our intention is to share the burden with someone else to feel better and let go, it hardly ever happens. And so we waste TIME and ENERGY feeding a conflict when we should be using the power of forgiveness to overcome our differences. According to another study, the impact of unforgiving thoughts on the body includes higher heart rate and blood pressure. These reactions remained even after the participants of the study were told to stop imagining situations they weren’t able to forgive. Forgiving thoughts, on the other hand, prompted greater control and lower stress responses. You already know you need to take care of your body to be productive, but do you also know that unforgiveness is a burden to your fitness level? What about the sleepless nights spent reviving the uncomfortable situation that triggered the grudge? As positive affirmations have a beneficial impact on our efficiency, it’s only logical to realize that negative thoughts have the opposite effect. 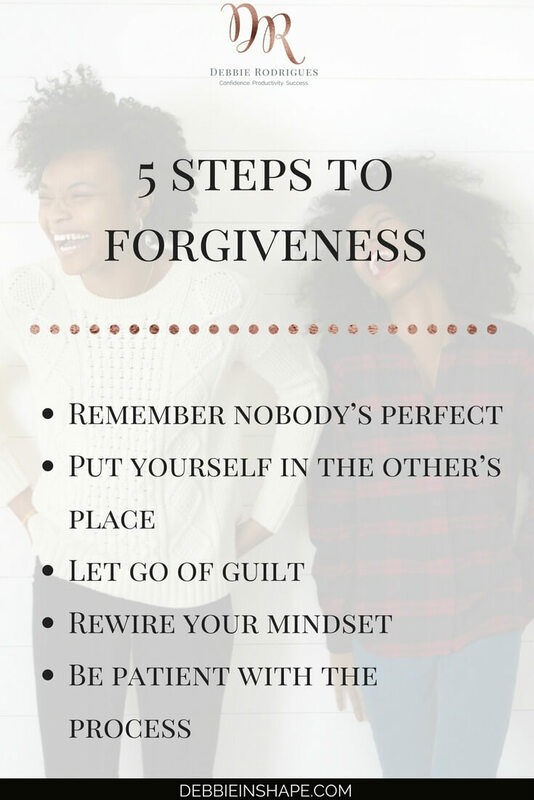 If the fact that forgiving is good for productivity isn’t enough reason to start doing it, your health should certainly be! Becoming more productive isn’t about spending endless hours working. You’re efficient when you use the time you have in your hands well. 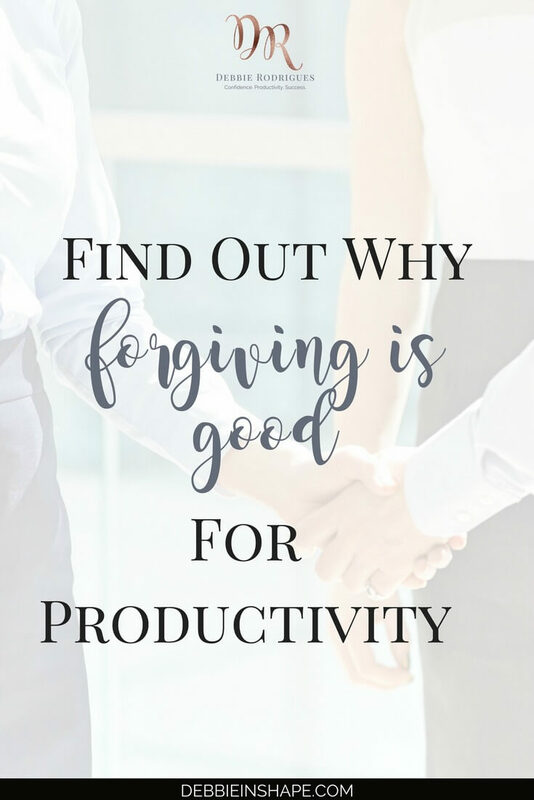 That’s where forgiveness plays a major role in productivity. Someone who hampered your efforts. Many times, when people (including us) have a less healthy behavior, it’s because they aren’t in a good place themselves. Nobody is flawless and life isn’t perfect. Maybe they don’t feel at ease to talk about their (personal) issues, but these things keep bothering them. Who has never overreacted about something small due to bigger struggles they were going through? If it happened to you, why can’t it happen to someone else? While such episodes shouldn’t be allowed, they happen. And you must forgive yourself for them, as well as forgive others. Depending on how deep the wound is, you may need more time to get over and forgive it. Still, you’ll find the effort worthwhile. Remember to be positive no matter what and don’t hesitate to use affirmations to rewire your thinking pattern. But also keep in mind the difference between “small” conflicts and abuse. The latter should never be accepted or tolerated. If you consider that is your case, make sure you escalate the issue to the proper authorities (HR or even the police if you feel your life threatened). Take all required action, but always remember to forgive. You don’t want to dwell in negativity for longer than necessary for your own good and for your productivity. 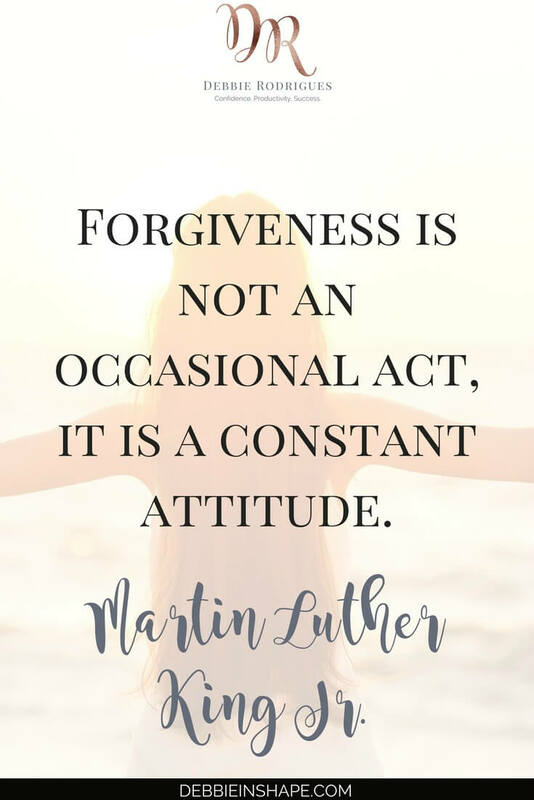 Do you struggle with letting grudges go?